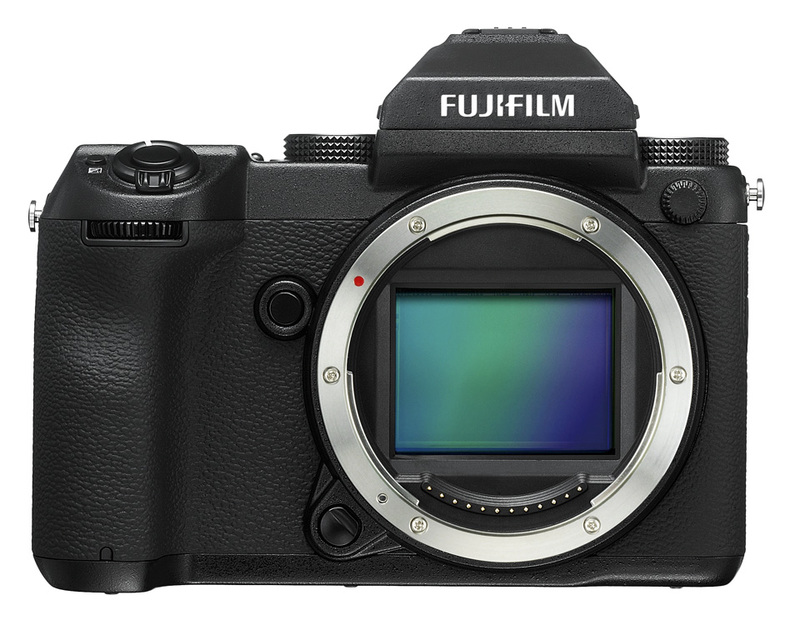 Fujifilm has launched the GFX 50s medium format mirrorless camera in India along with Fujinon GF Lens series. The line-up includes seven interchangeable lenses – GF23mm f/4 RLM WR, GF45mm f/ 2.8R WR, GF63mm f/2.8 R WR, GF110mm f/2 R LM WR, GF120mm f/4 R LM OIS WR Macro, GF250mm f/4 R LM OIS WR and GF32-64mm f/4 R LM WR. The camera is equipped with a 43.8mm x 32.9mm, 51.4 MP CMOS sensor, boasting approx. 1.7x the area of full-frame sensors. It is also equipped with X-Processor Pro image processing engine. The Movie function also supports Full HD recording at 30p. The GFX 50s is compact and lightweight (approx. 1230g) when paired with a standard lens (GF63mm F2.8 R WR). It has a 3.2-inch, 2.36 million-dot touch panel for the rear monitor, using touch operations for the selection of the menu. The camera has a three-directional tilting LCD screen. The GFX 50s adopts a large diameter/short flange back mount with a diameter of 65mm and a flange back of 26.7mm. The GF Lens series is specifically designed for the GFX 50s, with the resolving power capable of supporting a 100 MP sensor. 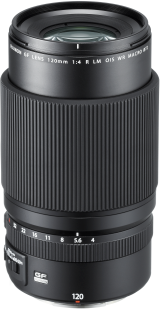 The lens barrel also features an aperture ring in the same manner as XF Lenses. A ‘C’ (Command) position has been newly added to the aperture ring as well, allowing users to change the aperture using the command dial on the camera’s body. 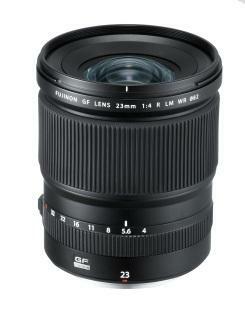 The Fujinon GF23mm f/4 R LM WR has a focal length equivalent to 18mm in the 35mm format. It features fast and quiet AF due to a linear motor. The lens is dust and weather resistant and is capable of operating in environments as cold as -10°C. The Fujinon GF45mm f/2.8 R WR is a highly versatile wide-angle lens with a focal length equivalent to 36mm (on a 35mm format) and maximum f/2.8 aperture. It is compact and lightweight weighing only 490g. 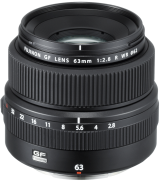 The Fujinon GF63mm f/2.8 R WR (50mm equivalent in the 35mm format) is a small and lightweight lens with a diameter of just 84.0×71.0mm with a weight of only 405g. The optical system features a construction of 10 elements in 8 groups, including 1 ED lens element. 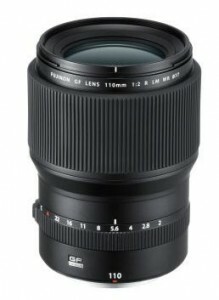 The Fujinon GF110mm f/2 R LM WR is a medium telephoto lens for portraits. The focal length is equivalent to 87mm in the 35mm format, it achieves a brightness of f/2.0 when used wide open to deliver beautiful bokeh. 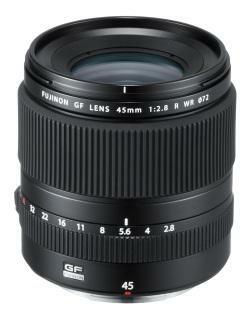 The Fujinon GF120mm f/4 R LM OIS WR Macro is constructed using 14 elements in 11 groups, including 3 ED lens elements. 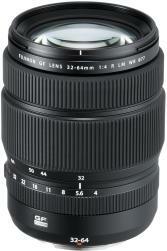 The Fujinon GF250mm f/4 R LM OIS WR is a telephoto lens equivalent to approx. 198mm in 35mm format. By attaching the “GF1.4X TC WR”, a 1.4x teleconverter, it provides coverage for telephoto shooting up to approximately 277mm in 35mm format, without any image quality deterioration. The Fujinon GF32-64mm f/4 R LM WR lens is constructed using 14 elements in 11 groups, each using one of the three types of lens elements – aspheric lens, ED lens and super ED lens – including the large aperture high precision aperture lens. The GFX 50 mirrorless camera retails at INR 5,11,999.